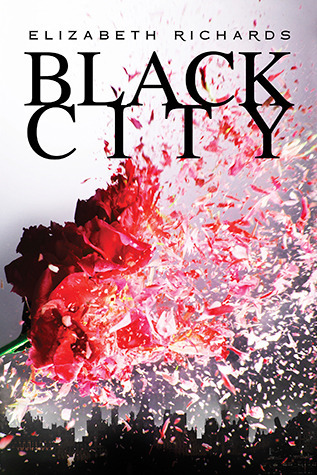 You can pre-order your copy of Black City online today so you can check it out for yourself! 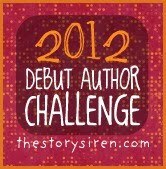 Be sure to add it to your TBR pile on Goodreads as well! To satisfy FTC guidelines, I am disclosing that I received the book from Debut Author Challenge ARC Tours in exchange for an honest review. The advance copy was likely provided to the tour by the publisher or author, which has in no way affected the outcome of my review. All opinions expressed are rambling, honest, and completely my own. Oh honey, I'm sorry this was so awful for you. I was more meh about it, but I agree with most of your complaints wholeheartedly. The romance was so gross and instalovey. I really wanted the other girl to break them up so that I could laugh at their pain. I just feel like with this, as with a lot of the other disappointing debuts - think Gravity which is up on my blog now, is that they focused more on the boring, unoriginal romance plot than on the clever elements of the plot. WHY DO THEY DO THAT? @Kat I didn't ever drift from it, so it wasn't completely awful. It just could have been SO. MUCH. MORE! @Christina I wanted that other girl to eat Natalie. Hell, I won't even get started on what I wanted for Natalie because of spoilers. She could have been awesome. I feel that if an author creates an AWESOME world and throws it to the side for a romance (I mean, why bother? ), they should be given a colossal wedgie. It's a waste of imagination. That being said, I'm not against romance in books, but other elements should not suffer because of it.